Dynamic entertainer Marsha McWilson will be doing a benefit concert for Niagara Catholic High School on Saturday, Dec. 10th, starting at 6 p.m. and going ‘til about 10 p.m. 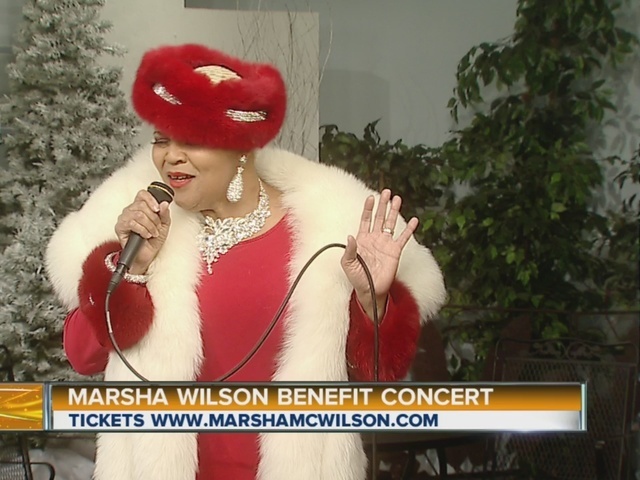 The Christmas show will feature McWilson’s interpretations of songs by legends like Etta James, Tina Turner, Gladys Knight, and Aretha Franklin. McWilson will be backed by The Beautiful Music Band. Joining her on stage for this lively event will be fellow entertainer Richie Derwald with his interpretations of songs by legends like Neil Diamond, Tom Jones, Frank Sinatra, and Elvis Presley. Besides classic pop/soul hits, expect to hear some holiday music, too. Tickets are $20 pre-sale (online via marshamcwilson.com) or $25 at the door, and include wine and hors d'oeuvres. Niagara Catholic High School is located at 520 66th St. in Niagara Falls, NY. Proceeds from the event will benefit the school. If you cannot make this event, but would like to see McWilson and Derwald performing during the month of December, consider calling 716-649-9694 to ask about their Dec. 6th “Christmas with the Superstars” luncheon show at Salvatore’s in Depew.